and opportunities for active recreation and spa. The high standard of service that makes staying at Villa Hoff will be pleasant. A particular advantage of the hotel's catering. The meals are prepared by award-winning chef. Hoff Seaside Villa is ideal for family holidays, short weekend stays, as well as business meetings and business trips. 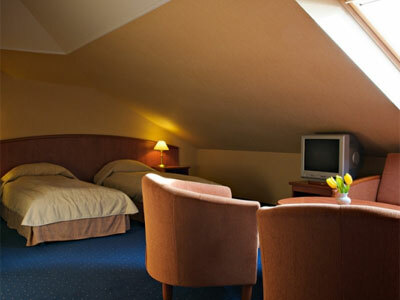 The hotel offers 25 comfortable rooms. 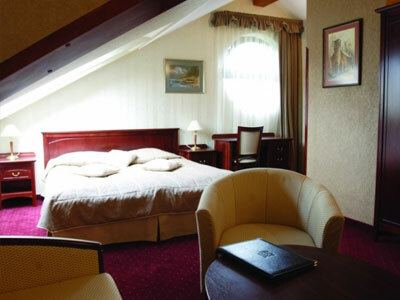 Guests can choose rooms with a bevel on the top floor, standard double rooms, play rooms and family rooms. 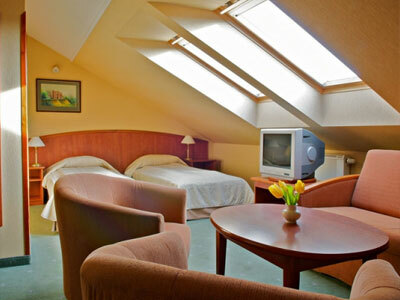 All rooms are equipped with private bathroom (with hairdryer), mini-bar, satellite TV, safe, telephone and internet access. 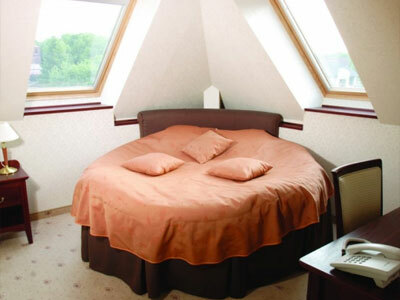 Lux rooms are air-conditioned and have a bedroom with a double bed, with extra beds. The living room has a comfortable couch. Family Studio 2 +2 has two separate rooms and is designed for a family of four with an additional bed. Guests can also enjoy air-conditioned suite single or double. The apartment comprises a spacious double room with a large double bed. Two-bed apartment still has a living room with sofa bed. Guests will find original interior, Jacuzzi, bathrobes, and slippers pool. cot, extra pillows, a bottle warmer, changing. In addition, the rooms have PROTECTION contacts, drawers and doors as well as it can be fitted with a set of monitoring children's sleep. At the request of the guest bathroom can be equipped with a tub to bath mat non-slip, extra towels, non-slip level of the sink. The restaurants are high chairs and bottle warmer and jars. Parents can borrow books for children, equipment for painting and drawing, bikes with child seat. There you can purchase items needed for children as cosmetics, diapers, etc. When there is a children's playground with lots of attractions. The hotel organizes classes for children animator. In summer it is a children's club, where the youngest guests can enjoy the games under the supervision of a babysitter. The hotel is located close to the town center.